Browse: Home / BFuzzer v-2.1 released : A Browser Fuzzer for Vulnerbilities Researchers. BFuzzer is a simple Python code to help developers for use the browser memory corruption vulnerability mining framework. BFuzzer by two main components: server and monitor. 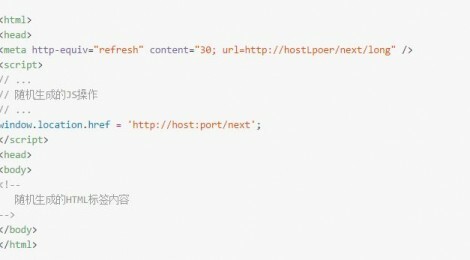 <meta http-equiv = "refresh" content = "3; url = http: // host: port / next" /> The way to make a request in three seconds after the real sample browser: http: // host: port / next. The way to make a request in three seconds after the real sample browser: http: // host: port / next. Download BFuzzer compressed and decompressed. ← MIG : Mozilla InvestiGator released; is a real-time digital forensics and incident response of modern infrastructures.